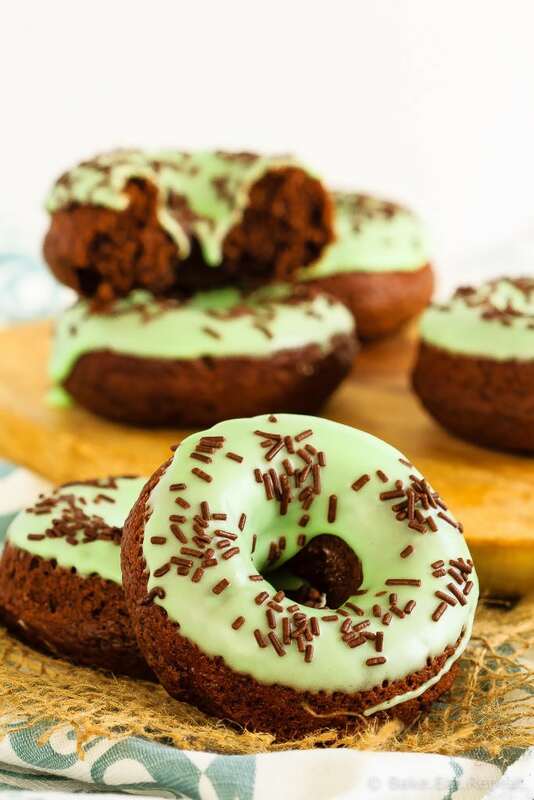 Chocolate mint doughnuts that are baked, not fried, and mix up in minutes! 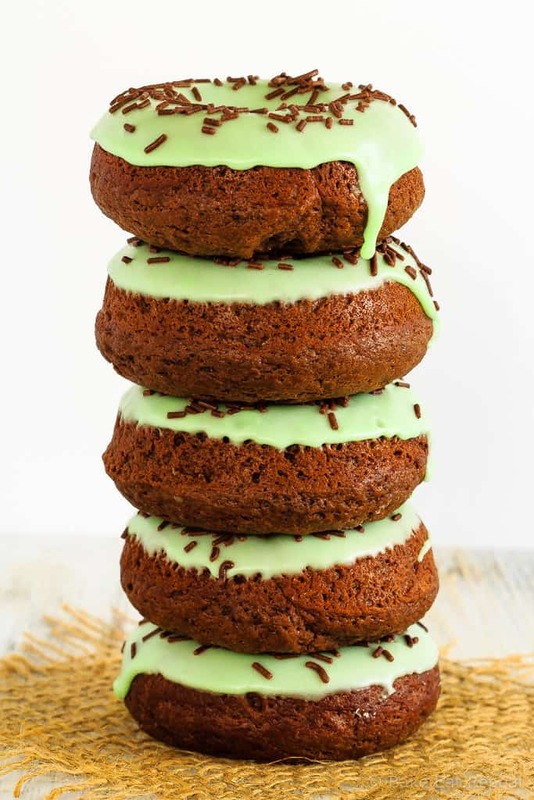 Make some dense, chocolate cake doughnuts topped with mint icing for dessert! Chocolate and mint. The best combo there is. Well, one of the best. I have lots of favourites. Just a few weeks ago I claimed lemon and cranberry was the best combo, and this couldn’t be more different. Yet it’s still the best. I’m okay with having many favourites in the food world. That just means more options. Chocolate mint is a pretty fantastic choice for dessert though. These baked chocolate mint doughnuts were amazing. 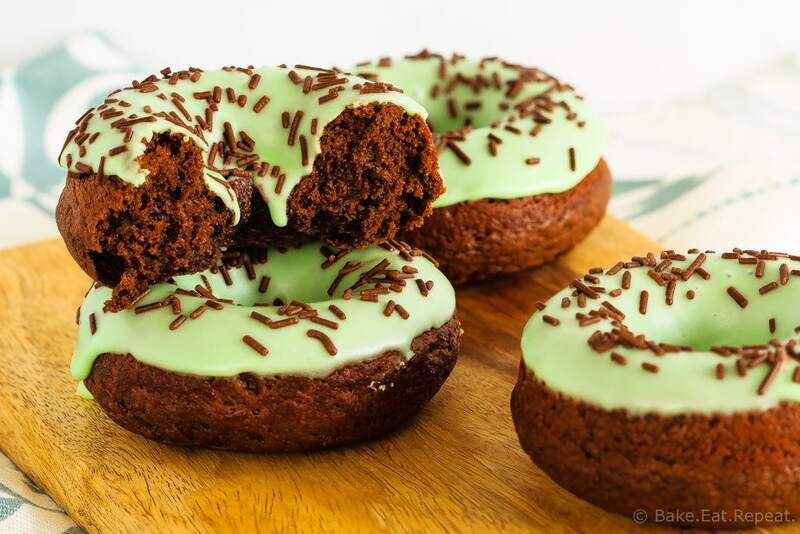 Dense chocolate cake doughnuts with minty green frosting and chocolate sprinkles – what else can that be other than amazing? Now, obviously you don’t have to make your icing green. It’s just food colouring. It’s not necessary. But for some reason mint flavoured food just looks better when it’s green. I feel like that shouldn’t be the case. It shouldn’t have to be green to taste right, but there you go. I needed it to be green. We loved these doughnuts. I made them twice in one week they were so good. And they were just so easy to make – a couple bowls and a whisk is all you need to make these beauties. And a doughnut pan. They won’t look like doughnuts if you don’t have one of those. Although they’d probably still taste just as good made in a mini muffin tin. My husband told me they looked like doughnuts from The Simpson’s. I’m not totally sure what that means, but I’m going to take it as a compliment. I think he was referring to the green icing? Whatever. They taste good. That’s all that matters. You should probably make them. Because chocolate mint doughnuts are amazing. Even if you don’t make them green. 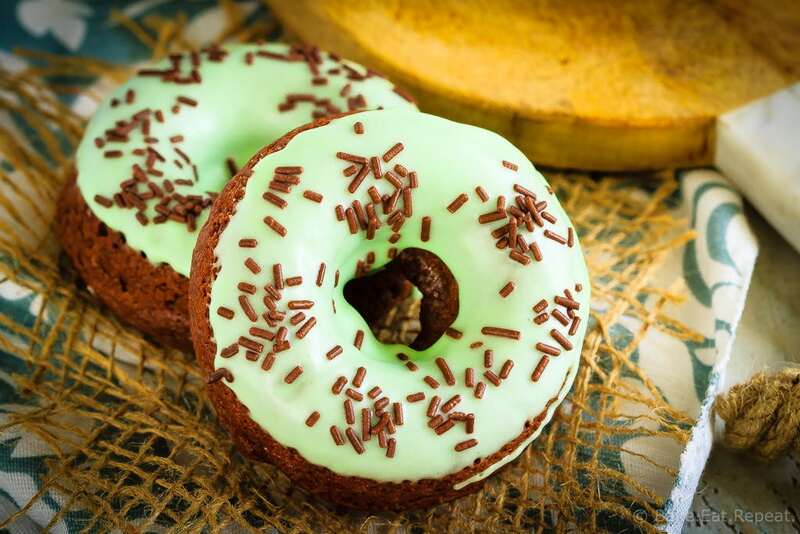 I’ve also shared this Baked Chocolate Mint Doughnuts Recipe over on Food Fanatic.